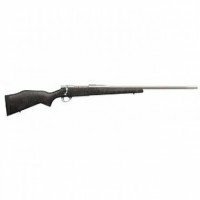 Long GunRemington81350Black MattePump10 1012 Gauge18.5"38.5"Manual6 + 1Black Synthetic3"
Featuring a detachable magazine system and fire controls designed from the ground up available with 3- and 6-round mags. Itâ€™s the fastest response time of any pump shotgun in history, and the ultimate choice for a home defense shotgun. This Model 870 DM features a 6-round magazine, bead sight, black synthetic stock, corn cobb fore-end, Supercell recoil pad.